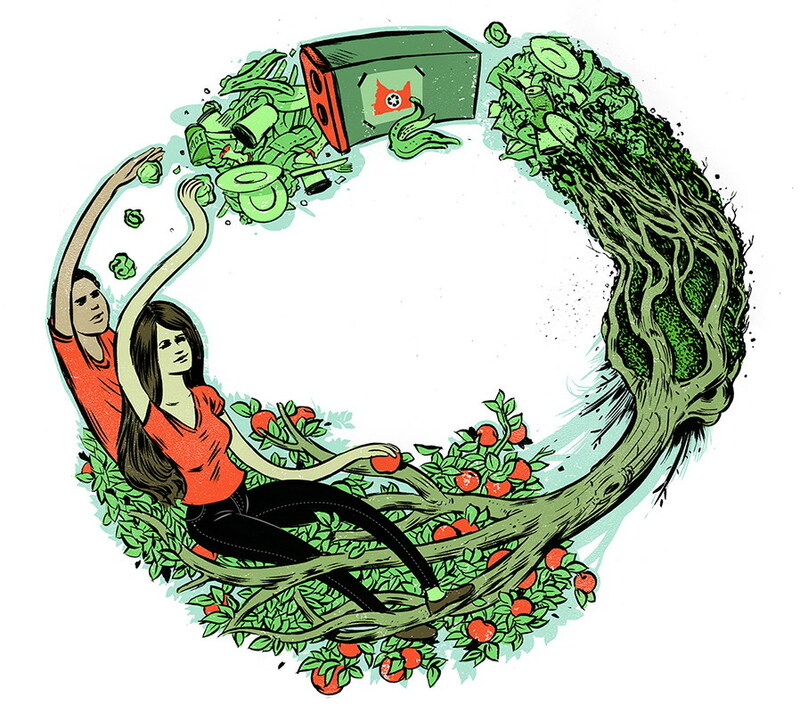 Most Americans say, “I’d love my community to compost…just don’t try and stick me with the bill.” Our solution: support public composting, but don’t sit and wait for it to happen. Do it yourself, right now. Results of a late December survey released today by the National Waste & Recycling Association has found that a large majority of Americans would compost their food and yard waste if it was easier, but nearly two-thirds of respondents balked at any potential increase in service cost or taxes to bring waste collection or compost processing efforts to their communities. The trade group’s findings show that while 72 percent of Americans do not compost, 67 percent of non-composters would be willing to if it was more convenient where they live—though 62 percent of respondents having no interest in footing the bill for the convenience. Among Americans who have gardens or a yard, 79 percent say they would be willing to use fertilizers, mulch and other gardening products made from food waste compost. 77 percent of Americans say that they understand the importance of separating food waste and organic yard material from general household trash. 68 percent of those who do not compost publicly programs would be willing to maintain an additional bin for compostables if their community implemented a program. Noting that the conversion of organics into either compost or energy sources is an evolving trend, Sharon H. Kneiss, president and CEO of the National Waste & Recycling Association, said the greatest obstacle to an organics revolution in the U.S may be the lack of understanding by the American public about its value. This entry was posted in Composting, Uncategorized and tagged compost, composting, Environmental Protection Agency, EPA, garden, gardening, National Waste & Recycling Association. Bookmark the permalink. Here in Seattle we have such a great composting program that we gave up our own compost bin in favor of the city mulch we can get bagged and ready to use, from our own garden and kitchen waste. It’s wonderful and I hope other cities look to us as a model for how to do it well. That’s fabulous! Most home gardeners can’t produce nearly enough compost to meet their needs, so it’s also a great idea on that level. Thank YOU for letting people in other areas know about the possibilities that community composting holds. Hopefully, other cities, town and municipalities will follow suit. Other great sources of compost are autumn leaves and grass clippings. Would love to see more in-place recycling of those “free” fertilizers instead of deploying so many energy-intensive removal strategies in the expensive & often counter-productive pursuit of pristine lawns. IMHO. 😉 PS, thanks for stopping by my blog!! !